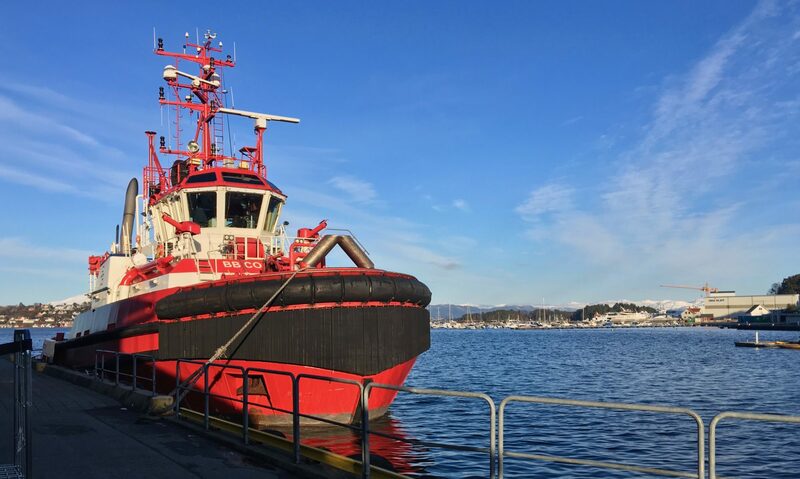 Marine Coast Master – The Most Fun You Can Legally Have on the Water! The Most Fun You Can Legally Have on the Water! I do a lot of reviews on restaurants in cities across the country. I have three criteria’s I look for when doing these reviews. I want them to have a good “About” page, lots of reviews and great photos. I cannot believe how many restaurants have very little to say about themselves or do not have a web page at all. 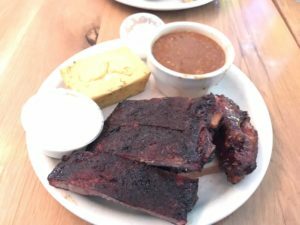 The one restaurant industry that has the best “About” page are barbecue restaurants. 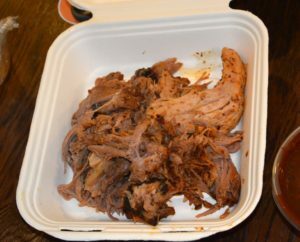 People who open barbecue restaurants have a passion about barbecue and spend years honing their meat smoking skills. 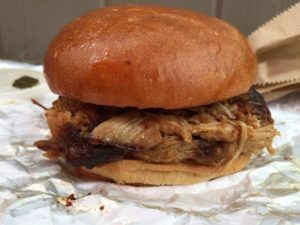 I have picked three barbecue places in Atlanta, Georgia that met my criteria when writing reviews. Keep in mind, my reviews are how these places came about, not their food. Fox Bros. Bar-B-Q is in the Chandler Park neighborhood of Atlanta, Georgia. The owners and chefs are twin brothers, Justin and Jonathan Fox. Born in raised in Texas, Justin and Jonathan developed their passion for barbecue at an early age cooking for family and friends. Jonathan moved to Atlanta in 1998 and Justin followed in 2000. Together they visited the best barbecue restaurants in the city but could not find one that they really loved. To remedy that, they started cooking in their back yard for friends with live music. Those gatherings became so popular they would be serving over two hundred and fifty people. Friends introduced them to Beau and Dan Nolen and Mike Reeves of Smith’s Olde Bar who asked them to cook for their restaurant. Between the cooking and catering, they were working seven days a week. They started to get a reputation and garnered the attention of the press. 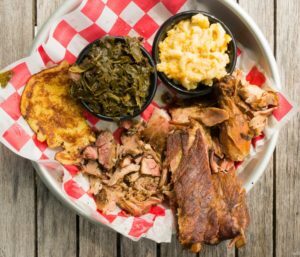 The Atlanta Journal-Constitution named them as runner-up for “Best Overall Bar-B-Q” in Atlanta. The brothers eventually opened Fox Bros. Bar-B-Q in August of 2007. Their loyal following proved strong and their business took off. Featured on many television shows like CBS Metter Mornings, Good Day Atlanta, The Food Network and Fox News, their reputation brings people in from all over the southeastern United States. They have garnered over thirty-six hundred posts online with well over a four-star rating. Heirloom market is a small but busy place on Akers Mill Road SE. Chefs Jiyeon and Cody created Heirloom Market with the thought they would be happy to do this ten years from now. They have fashioned their restaurant with fresh, simple and classic food flavors that will keep people coming back again and again. Chef Cody Taylor started working in restaurants at the early age of fifteen. That is where is passion for food was born. Texas born he trained to be a Chef in Atlanta and spent most of his career learning barbecue secrets. Chef Jiyeon Lee was born and raised in South Korea. Her first career was a music sensation in South Korea with several album topping the charts. Not satisfied as a musician, JiJi wanted to start a new career. She started to travel and work for some of the best hotels and restaurants she could find. Honing her skills, she combines her love of Korean flavors with good old fashion soul food. Together they work side by side Tuesday through Saturday at Heirloom Market, they are closed on Sunday and Monday, creating unique dishes they would happily eat on their days off. If you don’t want to sit and eat there, you can order and pay ahead of time and use their side door to pick your food up. Heirloom Market has been featured in the press and on the television. 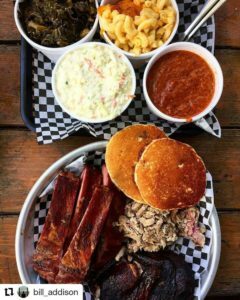 Named in Southern Living Fifty Best Southern Barbecue Joints. Bizarre Foods Atlanta Episode with Andrew Zimmerman said, “it is like new south and I’m liking it”. In bon appetit they were listed as having one of their favorite Korean Dishes. Then there are online postings of over eleven hundred that rave about Heirloom Market. B’s Craklin’ Barbeque is located on Main Street NW. Owner, Bryan Furman, feels like he is living his dream every day. Originally a welder, he got the idea to start a catering business when he decided to roast a hog on his daughter’s birthday for friends and family. His catering business was doing so well he asked his dad if he should pursue his dream and open a restaurant. 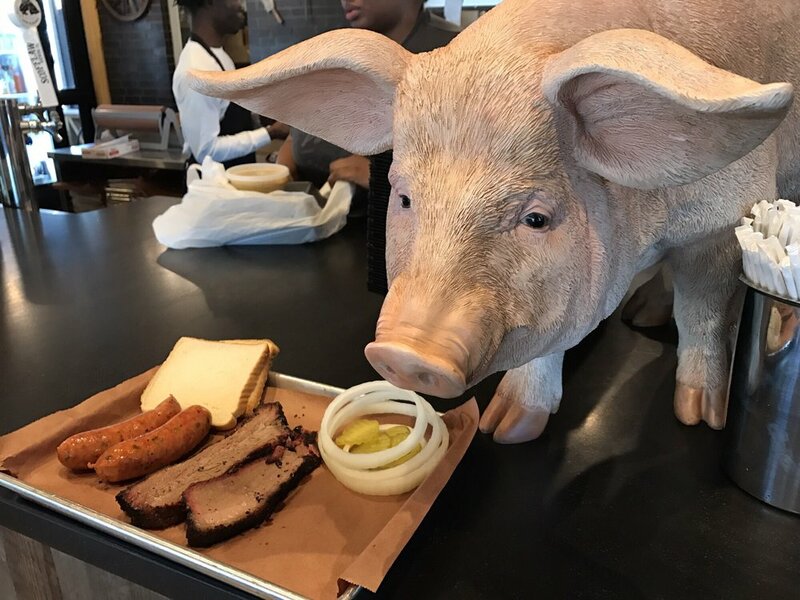 His plan was to raise Heritage hog and make fresh side dishes using only local businesses for produce and other meats. B’s Craklin’ Barbeque first opened on Coffee Bluff Villa Road in 2014 but unfortunately it was burned down in 2015. This was unfortunate, and they had been listed in Southern Living Magazine as one of the top fifty best barbecue in the south. With the support of friends and family and anonymous donations, Bryan and his wife Nikki have been able to rebuild and reopen. They now have almost one hundred reviews on the web giving them four and one-half stars. There is something to be said about Bryan’s chicken and ribs with his signature-style pit smoked barbecue. Fire can be a hard thing to recover from. One of the causes of commercial kitchen fires is the lack of hood cleaning. 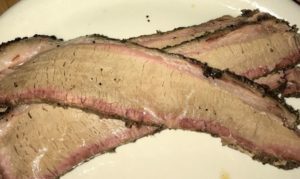 In barbecue restaurants, they should have a thorough hood cleaning done once a month if they are smoking their meat inside the restaurant. Exhaust hood systems filter out grease and particles in the air. Grease build up causes a fire hazard should a spark go up the hood. Atlanta Hood Cleaning Pros have the professionals that are licensed, bonded and certified for hood cleaning. They are happy to come out to your restaurant and give you an estimate and schedule regular hood cleaning, so you can prevent grease build up.